Goodman Manufacturing is a Houston product, with a massive manufacturing facility located in the Waller area. For more than 40 years, it’s been among the top air conditioning brands, though like with most industry brands, it’s a subsidiary under a larger brand. In this case, that brand is Japan-based Daikin, which acquired Goodman Manufacturing in 2012. Since acquisition, Daikin has done a lot with the brand, which remains a respected manufacturer. Most notably, Daikin’s construction of the sprawling Daikin Texas Technology Park, a 4.1 million square foot manufacturing facility. 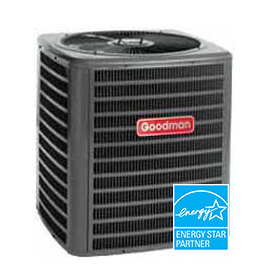 Goodman Manufacturing was founded by an HVAC dealer. Harold V. Goodman was that dealer’s name, and his first foray into the manufacturing side of the industry was to make plastic blade registers and flexible ducting. In 1982, just seven years after the company was founded, Goodman Manufacturing made the full jump into air conditioning manufacturing after acquiring Janitrol. The company grew steadily and grew its product portfolio over the years, until Harold Goodman’s passing in 1997. Under new leadership, Goodman Manufacturing was part of a lot of business transactions, buying up Raytheon Appliances and then selling it to Maytag just four years later. Goodman Manufacturing was itself acquired by Apollo Management in 2004 and changed hands a couple times before being acquired by Daikin. Being acquired by Daikin was probably a best case scenario for Goodman, as the Japanese manufacturer promptly planned out and began construction on its technology park. The Daikin Texas Technology Park is the third largest factory in the U.S., and the fifth largest in the world. And it contains all of Goodman’s manufacturing, design, research, marketing and corporate departments. Daikin states that consolidating all of Goodman’s assets in this way will improve its ability to innovate and serve customers. Although Goodman is under the Daikin banner, it still retains its own branding, along with its logistical networks. This is standard operating procedure in the HVAC industry, as there are only a handful of companies overseeing almost all of the industry’s brands. 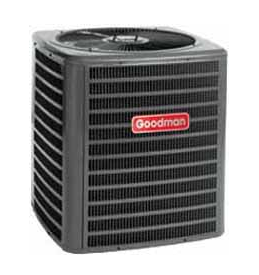 The point is, when you buy a Goodman air conditioner, you’re getting the same quality of parts that are reserved for Daikin’s other HVAC brands, which include Amana. And it’s always important to point out that while there are some notable differences between brands, it’s the installer that makes the biggest impact on the system’s efficiency and operation. A poorly installed air conditioning system will undermine even the most advanced HVAC technology, and a quality installation will ensure the system provides efficient performance for as long as possible. 1. The GSX Series – The GSX13, GSX14 and GSX16 are the most economical options available to homeowners. The GSX13 comes with Goodman’s lowest SEER rating at 14, but even that number exceeds federal regulations. SEER, which stands for Seasonal Energy Efficiency Ratio, is a catch-all metric that measures the overall energy efficiency of an HVAC system by assessing how much cooling the system manages per unit of energy spent. Though a 14 won’t compete with the most advanced air conditioners on the market, chances are that if your home has a system that is several years old, a 14 would represent a major boost in efficiency. The GSX Series comes with several engineering features. The unit’s factory-installed filter driers removes contaminants and moisture during system operation, absorbing them and preventing them from entering the home. The GSX is also built with lugs that provide a secure connection to the system’s main power wiring. Louvered coil guards keep the internal coils safe from environmental hazards like hail and sticks, as well as lawn equipment. Finally, the GSX is finished with a baked-on powder coating that is electrostatically applied. The powder coating protects against UV radiation and has been tested using a 500-hour salt spray trial, which is great for homes located near the coast. 2. The GSXC Series – The GSXC Series is the advanced offering from Goodman and, as one might expect, it comes with some additional features not found in the GSX. For one, the GSXC Series offers higher SEER ratings, topping out at 19 with the highest rated model. That’s just the start, though. In addition to the engineering features found in the GSX Series, the GSXC Series is built with a sound control blanket that reduces operation noise. It also comes with Goodman’s Copeland Scroll two-stage compressor. Two-stage operation means the air conditioner can operate at a lower capacity, which reduces energy usage while controlling humidity and providing temperature control. At higher capacity, the air conditioner provides maximum cooling capabilities. And the GSXC Series is designed with ComfortNet and ComfortAlert. ComfortNet allows the homeowner to control their air conditioner remotely from their device, and also continuously monitors system performance, which can provide useful data to technicians. ComfortAlert takes this a step further, as it keeps an eye on component performance and status. If any issues arise, ComfortAlert logs it, alerts the homeowner and provides insight to responding maintenance technicians. The idea is to head off minor faults before they become serious failures. 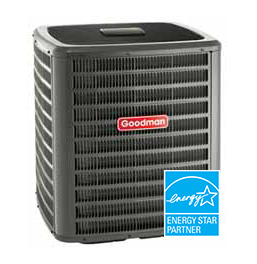 Goodman has built a brand that, over 40 years, has become one of the most respected and widely known in the HVAC industry.